Talk about a gorgeous newborn. Meet Marianne. 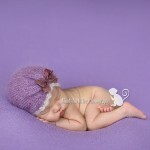 At the time of her shoot she was about 3 weeks old, but still very sleepy and as you can see we were still able to capture many images of her in newborn poses 🙂 She was one of my sleepiest babes and I love that she let me put so many different headbands and hats on her 🙂 Doesn’t she look stunning on the red backdrop?!?! Marianne’s mommy and daddy wanted to get in on the fun too!!! 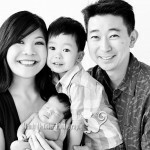 We captured priceless family images of them together. 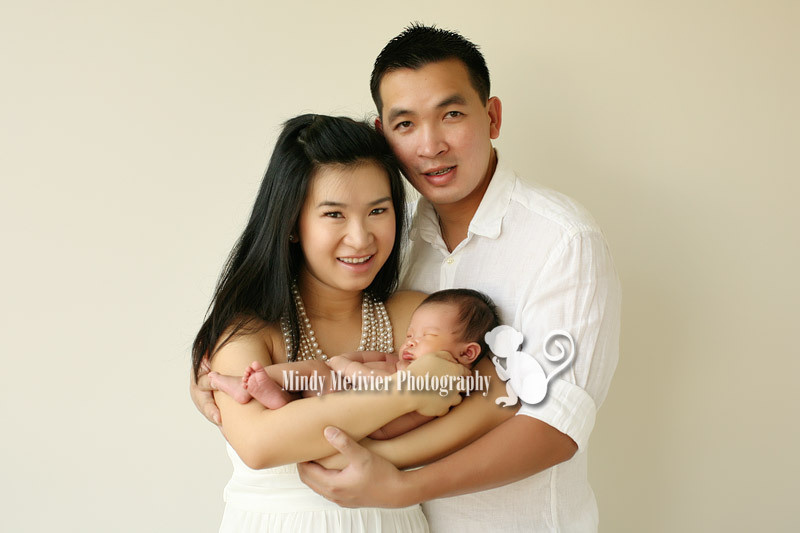 Her mommy, Quyen looks fabulous!!! You can’t even tell that she just had a baby!!! And I love the joy on Quyen’s face…she’s a proud mama!!! 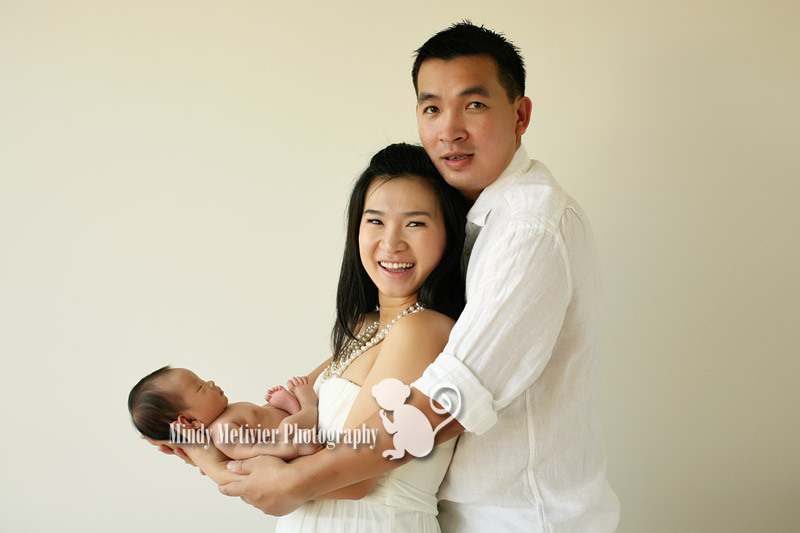 Daddy, Hiep, was so loving and patient with his new baby girl 🙂 I love capturing these moments with a newborn and their joyful, proud parents…definitely treasured memories!!! 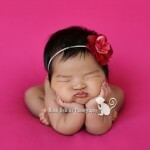 I want to give a big shout out to Marianne’s Aunty Mai for coordinating her newborn shoot. 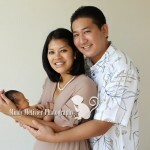 Thank you for contacting me and choosing me to photograph this very special moment in your family’s life. Marianne is beautiful and so loved!!! Thank you to Quyen, Hiep and Mai for a wonderful day!!! I enjoyed working with and getting to know your family!!! May you all have a wonderful and blessed 2013!!! To view more images from Marianne’s session, please click HERE FOR A SLIDESHOW!! !